If you have polished hardwood floors, they are probably often slippery, which can be particularly dangerous with stairs. Here are some solutions for dealing with slippery hardwood floors. Have a no shoes policy in your house. Slippery residues can find their way into your house on the bottoms of your shoes. Keep your floors clean. Thin layers of dust and fine debris can make your hardwood floor more slipper. Sweep your hardwood floors multiple times a week. Clean your floors regularly with a simple floor cleaner. I like Bona floor cleaner or this simple homemade alternative: In a spray bottle, mix 1 part white vinegar with 3 parts water. Spray it with on your floor and wipe it up with a dry mop. Considering putting down throw rugs and door mats in areas that are high traffic and tend to be slippery. Stairs can be made less slippery with anti-slip tape, which is not attractive but effective. A less unsightly solution would be an anti-slip treatment. Consult the paint and stain department at your local hardware store for recommendations. 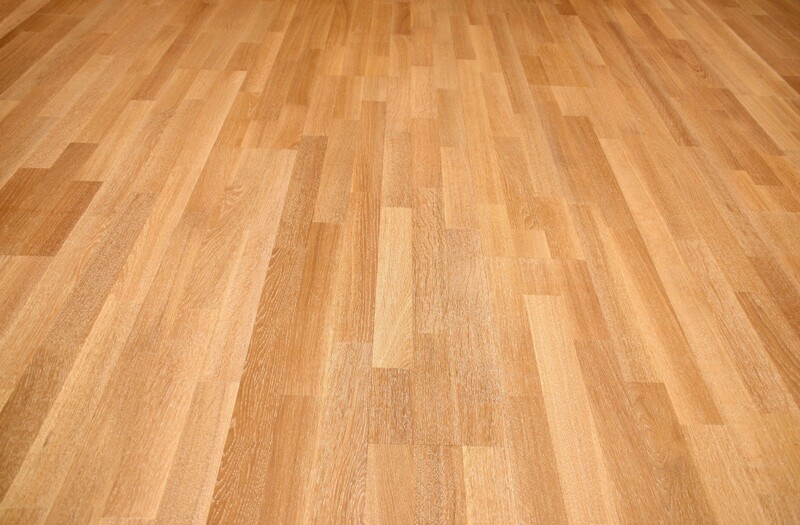 If you are installing new floors or refinishing existing floors, consider a matte finish over a gloss finish. While a matte finish won't offer the same shine as a gloss finish, you will still have beautiful natural looking wood floors. The last point worth making is what you wear on your feet can help prevent slips and falls. The few times I have slipped on our stairs, I was moving quick and wearing plain cotton stocks. I get much better traction from either bare feet, slippers with rubber soles, or socks with non-slip bottoms on them. 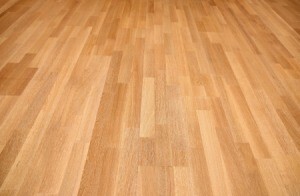 Read more solutions for slippery hardwood floors below and feel free to share your own advice. What is a quality nonskid floor treatment that you can suggest? If your floor is a tile floor then you'll want to use a product called Johnny Grip. I used it on my kitchen floor and it's like a night and day difference now! I ordered it right off of their website. Darn, I checked out that site but my floors are hardwood not tile. Thanks for the attempt though! The floor is slippery and I nervous about someone suffering an injury on the slippery wood floor. I am looking for something to put down to stop the slipperiness. There is no traction between the tennis shoes and the floor. We do put water on the shoes and then wipe it off that helps for a short time. Thank you for your help. Home Depot, Lowes and other big box stores have products to help reduce the possibility of injury on slippery floors. You can check for their online products or visit a store. I have been using vinegar and water to clean our hardwood floor but it is still slippery. How can I avoid that?